Our goal is to provide the most complete, safe, and advanced rug care possible. Beyond cleaning, our line of services includes expert hand repairs, color correction and over-dying, custom-made rug hanging racks, and eco-friendly rug pads – to name only a few! We joyfully go the extra mile to ensure complete customer satisfaction. Our vision is to raise the integrity of the health in your home by refusing to clean your rugs in a communal wash-pit or automated wash system. We care for your rugs one at a time to prevent the risk of any dirty water cross-contamination from other rugs, never having to resort to using harsh chemicals, like dichlor or bleach, to sanitize our water. Your rugs are handled safely, and are treated with respect. Our dream is to lessen our ecological footprint by keeping as many rugs from the landfill as we can through our rug donation center, sourcing products for our showroom from seven different Fairtrade organizations, and by committing ourselves to using green cleaning products. Our customers enjoy free pick up & delivery in Albuquerque, Santa Fe, Taos, Corrales, Rio Rancho, Placitas, Farmington, Durango, CO, and Pagosa Springs, CO.
At One World Rug Care we make it as easy as possible for you to receive an estimate for our rug care services. 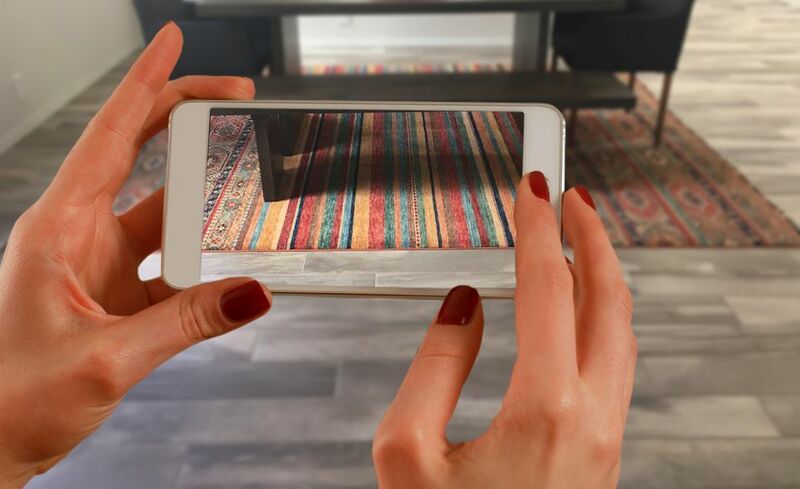 Click below to learn how you can use your smartphone to submit images of your rug and receive a FREE estimate. Our cleaning technicians are thoroughly trained to identify unique characteristics to custom clean your rug or textile according to our standards of excellence. Our skilled rug repair specialists are attentive to the detailed mending needs of your rug.